Sometimes when decorating for a small home, the details carry a lot of style “weight”… In other words, make it count, because you only have so much space for special stuff! (Not to mention, in a small space everything has more attention placed onto it…) Pottery Barn is one of those stores we all love, but it isn’t always the most affordable, or convenient option. Plus, it’s always fun to DIY! 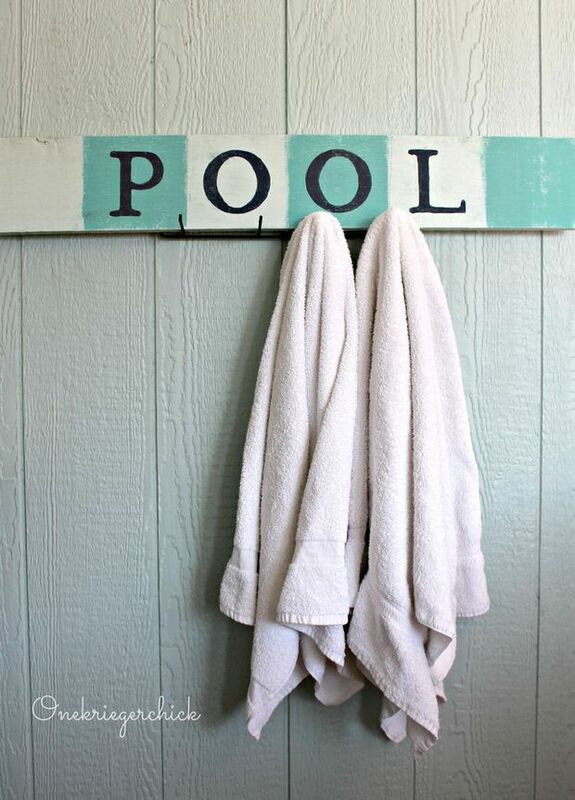 We have our favorite DIY Pottery Barn Knock Off projects for you, with some perfect accessories and decor for your small home. 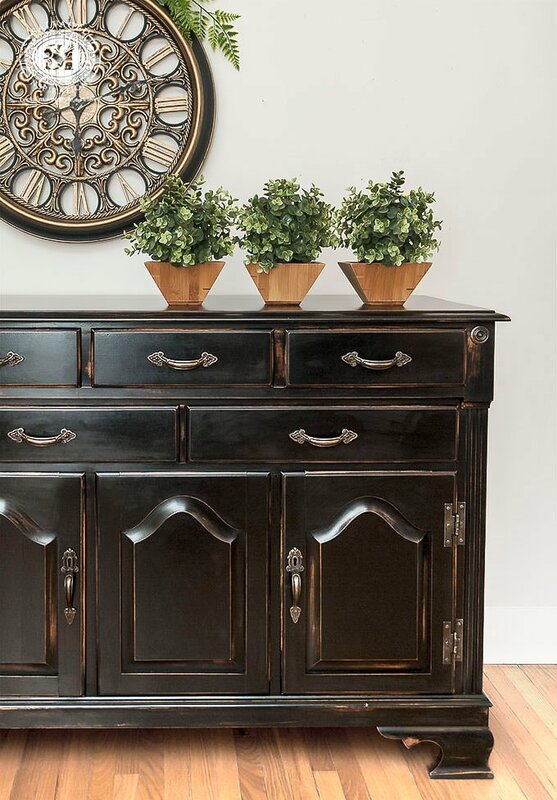 ‘Salvaged Inspirations‘ took an ’80’s buffet and turned it into the gorgeous Pottery Barn knock off furniture piece! She has perfected the signature Pottery Barn black vintage finish too! 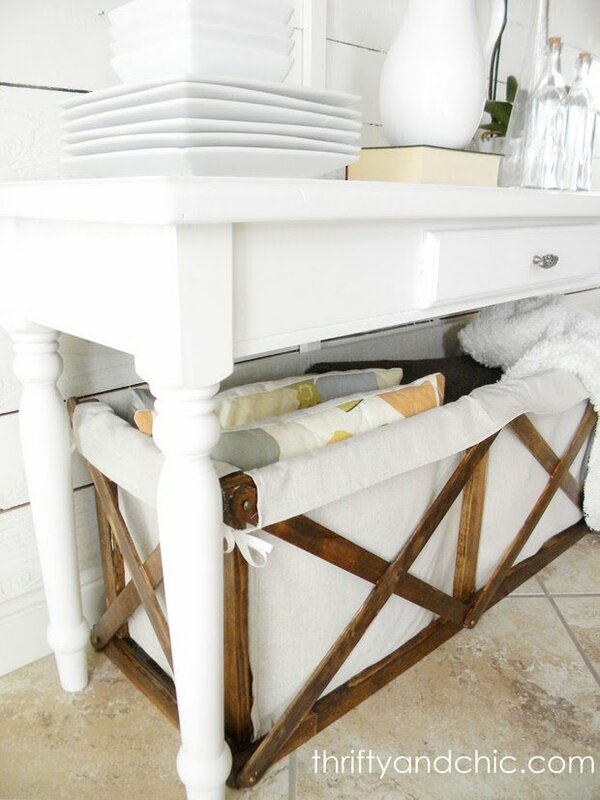 Make this DIY Pottery Barn Knock Off entryway bench with these future plans from ‘Woodshop Diaries‘. 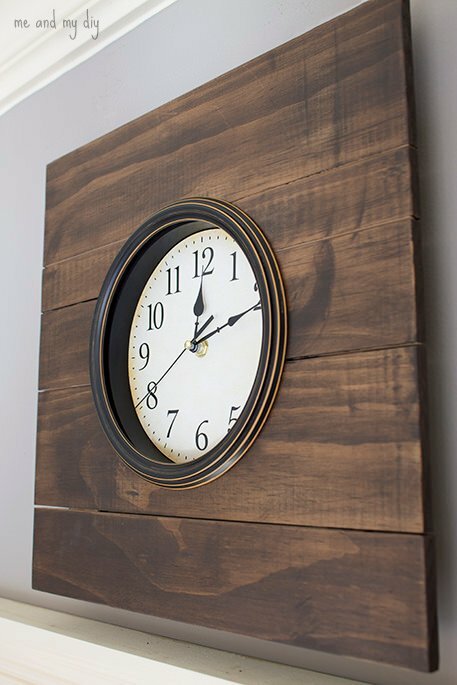 This entire project is just inexpensive plywood! 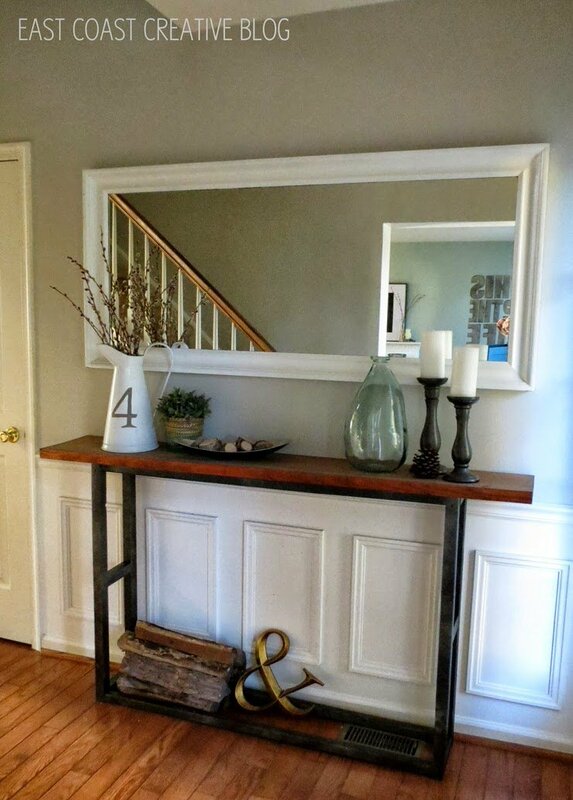 This is a Pottery Barn Knock Off DIY console table, by ‘East Coast Creative‘. I love this look, a little rustic, a little sophisticated. 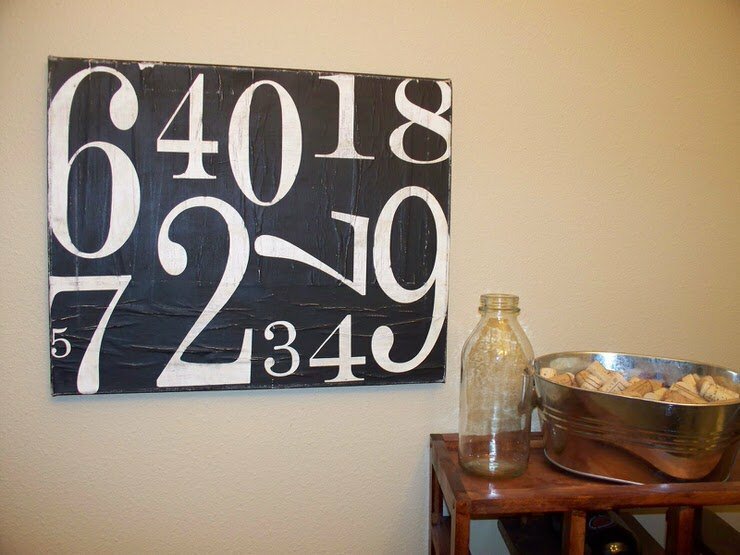 This Pottery Barn Knock Off painted numbers canvas by ‘Pink Paisley Polka Dots‘ looks exactly like the real thing! This would be a great focal point for a small room with it’s graphic nature to add structure, but a modern twist on a rustic surface… Love it! 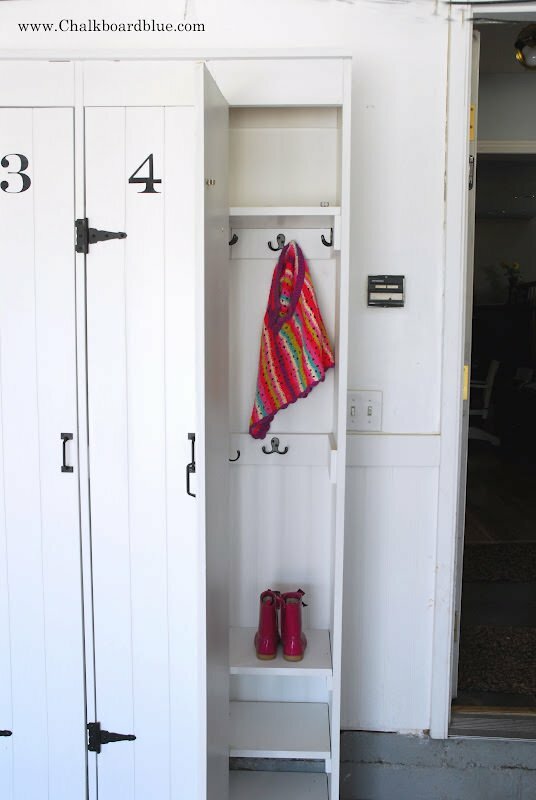 These Pottery Barn Knock Off lockers by ‘Chalkboard and Blue‘ are amazing! Can you imagine using these to corral the clutter? Perfect for a small space! 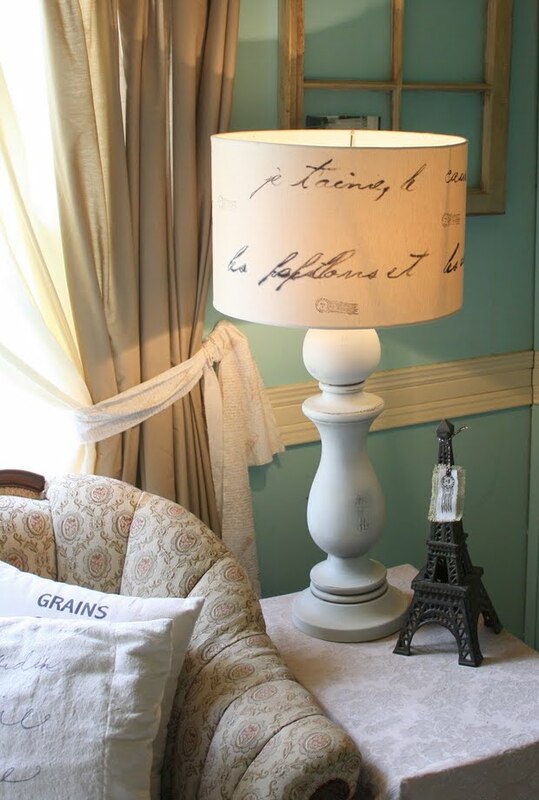 We have another PB inspired lamp project and tutorial for you from Gina at ‘The Shabby Creek Cottage‘. I especially love the shade! She made this lamp for $10! Nice! You can have your own Pottery Barn furniture and accessories using these DIY Pottery Barn Knock Offs! 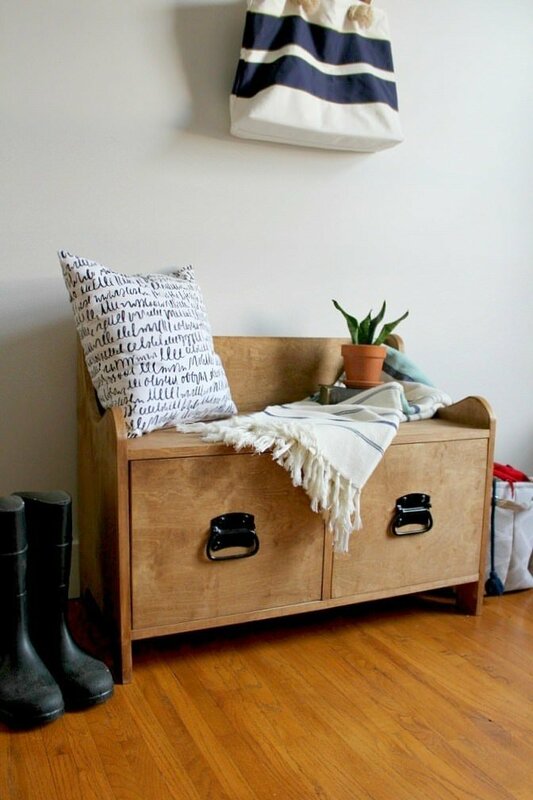 Try our post on DIY Pouf Projects or 15 DIY Entryway Bench Ideas! Where do I find that beautiful entryway, Pottery Barn table? Or how do I find the instructions to do it myself?